Apple released its new iOS 6.1 Beta 2 today and we can now show you the SDK release notes in Full, thanks to a friend of ours via our Phones Review Facebook they emailed us this new list. We are probably a little late now as many others are probably reporting the same, but hey we are here to provide what we know to our thriving readership. The iOS 6.1 beta 1 was released November 1st and just 11 days later we now have iOS 6.1 beta 2, which is designed to the Apple ”Map Kit” development engine better. You will see a great list below of the SDK release notes, one that sticks out the most is the new information card in the cool Passbook app as well as the Apple TV software beta. 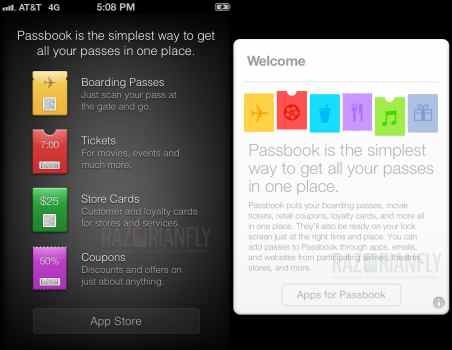 We have not joined the developer list yet so we wish to say a big thanks to the email we was sent covering this, we was told by many readers that the Passbook was to difficult to follow because it lacked in a few areas such as sample cards so hopefully the new Beta 2 will be a blessing of good things to come. If you would like all the available downloads for these: iPad (4th generation Model A1458), iPad mini (Model A1432), iPad Wi-Fi (3rd generation), iPad Wi-Fi + Cellular (model for ATT), iPad Wi-Fi + Cellular (model for Verizon), iPad 2 Wi-Fi (Rev A), iPad 2 Wi-Fi, iPad 2 Wi-Fi + 3G (GSM), iPad 2 Wi-Fi + 3G (CDMA), iPhone 5 (Model A1428), iPhone 5 (Model A1429), iPhone 4S, iPhone 4 (GSM), iPhone 4 (CDMA), iPhone 3GS, iPod touch (5th generation) and iPod touch (4th generation) please head over to RazorianFly. Please read the full iOS 6.1 Beta 2 SDK release notes below, please do let us know if you have downloaded this as we would love to know how you got on. In iOS 6.0 and later, Core Image introduced new filters to the set provided in iOS 5. The complete set of filters can be found in Core Image Filter Reference. Also in iOS 6.0 and later, Core Image allows for the creation of CIImage objects that reference OpenGL texture objects via the imageWithTexture:size:flipped:colorSpace: method. In iOS 6.1 beta 1, you will not be able to upgrade or downgrade your iCloud storage (5 GB is free). As a workaround, please use either the latest OS X or a device running iOS 6.0. Notes – In iOS 6.1, the Map Kit framework introduces the MKLocalSearch, MKLocalSearchRequest, and MKLocalSearchResponse classes. Apps can use these classes to perform map-based searches for addresses and points of interest. The results are then delivered to the app as an array of map item objects. For information about these new classes, see Map Kit Framework Reference. Notes – In iOS 6.1, a new Reset Advertising Identifier button has been added to Advertising Settings. This button resets the Advertising Identifier so that future requests will return a different value. Notes – This release does not support testing In-App Purchase in iOS Simulator. For apps that use this feature, please test on a device. Notes – Weibo shows up in the Settings app only if a Chinese keyboard is enabled. When using the iOS 6.1 SDK on OS X v10.8 (Mountain Lion), if you use the iOS 5.0 or iOS 5.1 “Legacy SDK” in iOS Simulator, you will not be able to sign in to Twitter via the Settings pane and Twitter.frameworkwill not work correctly. If you need to test Twitter features, you will need to choose either the iOS 6.1 or iOS 6.0 Simulator run destination or test with iOS 5.x on a device. These problems do not occur when running Simulator on OS X v10.7 (Lion).